Join us for a very special evening Reiki Healing Circle with guest Reiki Master- Frans Stiene. 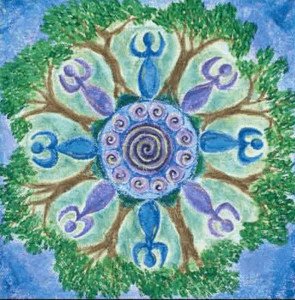 When we meet in Circle, it is with the intention to hold everyone in a sacred space with the purpose of nurturing ourselves as part of a healthier humanity. Reiki shared increases compassion for oneself and others and supports a shift from surviving to thriving. Reiki is a subtle healing practice that supports body, mind, and spirit, prompts an overall calming, balancing, and healing response that enhances health and well-being. Reiki practitioners will be providing an abbreviated Reiki Treatment for all participants. Beryl Hay, Reiki Master Teacher, began her career at IBM, and transitioned to the nonprofit area. She transformed herself into the holistic world through independent study courses, continuing education credits and has studied with several Traditional Reiki Master Teachers. Frans Stiene, is a co-founder of the International House of Reiki , is also the author of The Inner Heart of Reiki and Reiki Insights. Frans is a senior teacher, Reiki Master, for the International House of Reiki. Apart from teaching all three levels of the system of Reiki and specialized classes, he offers limited one-on-one training sessions for students and one hour Reiki treatments on his teaching tours.